Learn how to draw the human figure with the practical and effective method made famous by a leading art instructor. 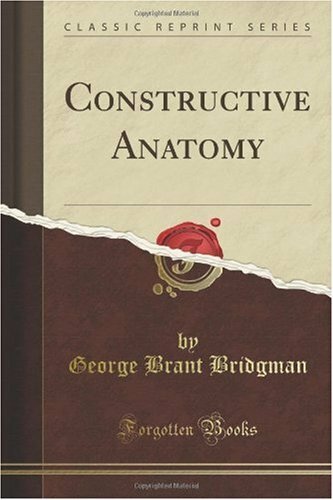 Bridgman first simplifies complex anatomy problems into simple structures before exploring the muscle patterns into more complex detail. This allows the artist to see the particular anatomy problem as a proportional mass rather than a complex network of muscle fibers. The term 'drawing' is applied loosely; it is meant to connote a medium of great immediacy conducive to direct materialization of a concept, rather than implying the elimination of color or an insistence upon other technical restrictions. While the impulse to satirize public men in picture is probably as old as satiric verse, the political cartoon, as an effective agent in molding public opinion, is essentially a product of modern conditions. Its success depends upon its timeliness. by Gustave Doré - Belford-Clarke Co.
From the creation of the world to its final redemption, view the Bible as imagined by one of history's most accomplished illustrators. This book of Dore's classic Gallery pictures many of the best-loved stories from the Old and New Testament. by Walter Crane - G. Bell & Sons, Ltd. The substance of the following chapters on Line and Form originally formed a series of lectures delivered to the students of the Manchester Municipal School of Art. There is no pretension to an exhaustive treatment of a subject.